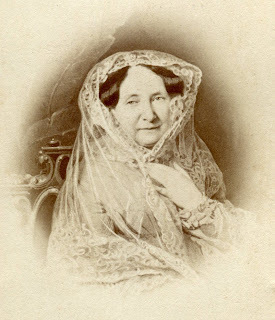 Grand Duchess Anna Pavlovna of Russia (Russian: Анна Павловна; St. Petersburg, 18 January 1795 – The Hague, 1 March 1865) was a queen consort of the Netherlands. She was born as the eighth child and sixth daughter of tsar Paul I of Russia. In the Netherlands, due to nineteenth century Dutch transliteration conventions, she is better known as Anna Paulowna. In 1809 her brother the tsar rejected Napoleon's offer to marriage Anna! You have to wonder if world history would have been different if she had married Napoleon. Perhaps no French invasion of Russia? I also wonder if Anna would have been happier with the pomp of the French court than the casual ease of the Dutch.